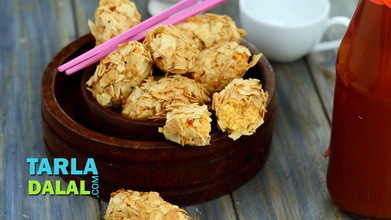 Sesame fingers are one of the most favorite snacks in chinese cuisine. 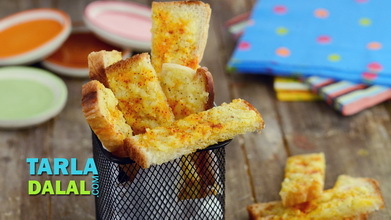 This recipe calls for sliced bread, so if you have leftover bread, this is a delicious way to use them up. 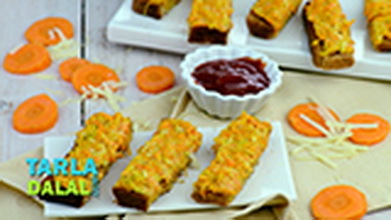 Shredded veggies are used as a topping on the bread and then batter-fried. These are then cut into strips and served, hence the name. 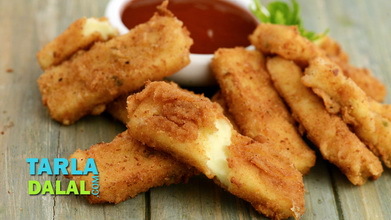 These fingers make a great snack when your kids get back from school or even as finger food in a party. 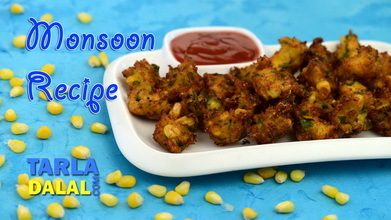 You can try adding paneer or tofu along with the veggies as a variation, but the sesame seeds are a must, as they add a nice crunchiness to this snack. Enjoy! Add the capsicum and celery and sauté on a medium flame for 1 minute. Add the potatoes, salt, soya sauce and chilli powder, mix well and cook on a medium flame for 1 to 2 minutes, while stirring continuously. Remove from the flame, divide it into 4 equal portions and keep aside to cool. 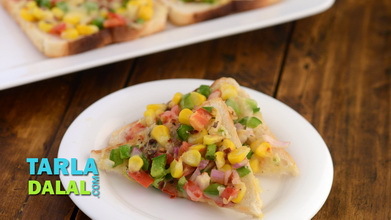 Place 1 bread slice on a flat, dry surface and spread a little prepared topping evenly on the slice and press it lightly. 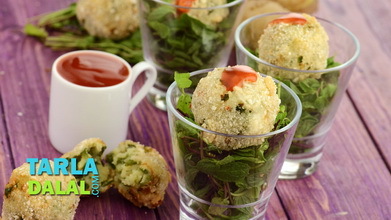 Apply a little prepared plain flour-water mixture prepared mixture evenly over it. Sprinkle 1 tsp of sesame seeds evenly on top. Repeat steps 1 to 3 to make 3 more such bread slices. Heat the oil in a kadhai and deep-fry the bread slices, one at a time, till they turn golden brown in colour from both the sides. Drain on absorbent paper. 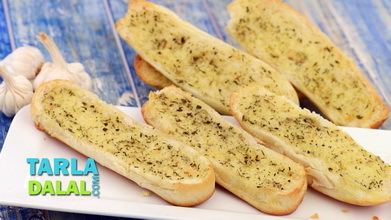 Cut each slice into 3 equal long strips (fingers) and serve immediately dotted with chilli sauce.